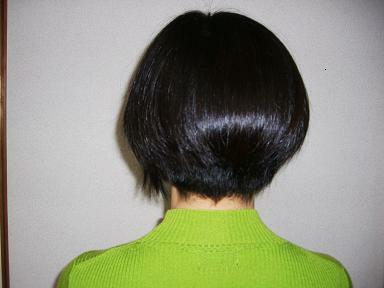 I had my hair cut so that the nape of my neck is clear-cut for wearing kimono. and he used to dress the hair of women who worked at the bars before they went to work in the evening, and so he was very busy, he said. I always enjoy talking with him ! What's more, I trust his hair-cutting skills, so I refresh myself at his beauty salon.